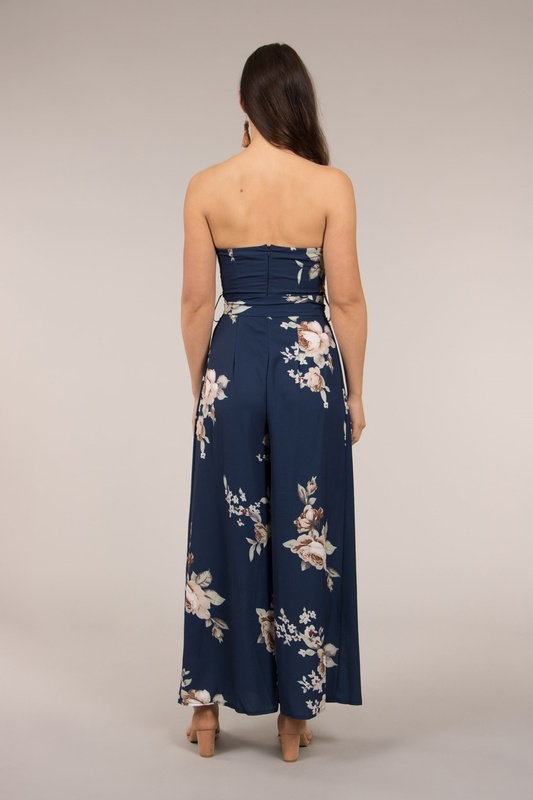 This printed strapless jumpsuit is a stylish option for any special occasion. 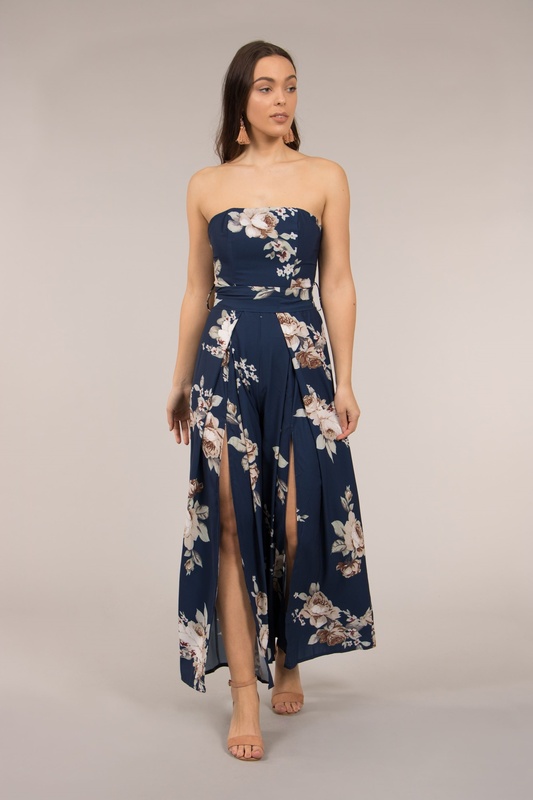 Features a fitted bodice with removable shoulder straps , a wide leg with front long splits and a self tie. Team with strappy heels or flats for an elevated any occasion ensemble.